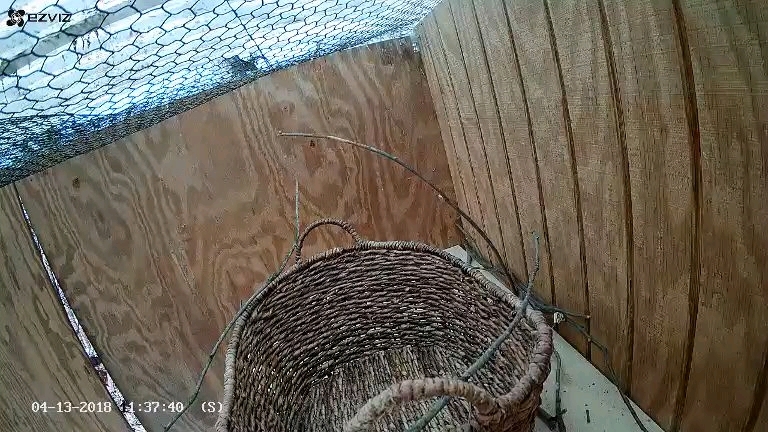 I set up a new nest cam a few weeks ago. 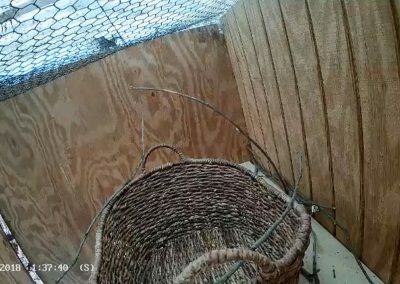 (OK, let’s be accurate, I made Super Son set up a new nest cam when he was home for spring break.) Of course this intrusion into the holy of holies led to nest cam wars. Gwen and Stephen would unplug the camera, I’d trespass to plug it back in, causing tears of rage — or whatever the crow equivalent is. Rinse and repeat. But the species with opposable thumbs has some strategic advantages, including one of the modern world’s great inventions: duct tape. 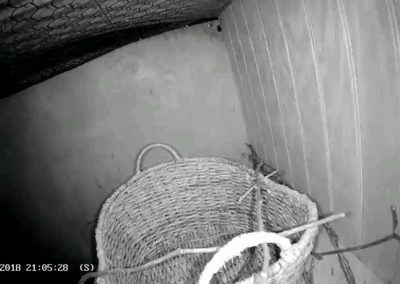 So now the nest cam wire is taped into its plug and the spying can begin. Nothing happened for about a week. I checked today, and, behold, a stick or two had been deposited on the shelf. Tonight there are even two carefully placed across the basket. 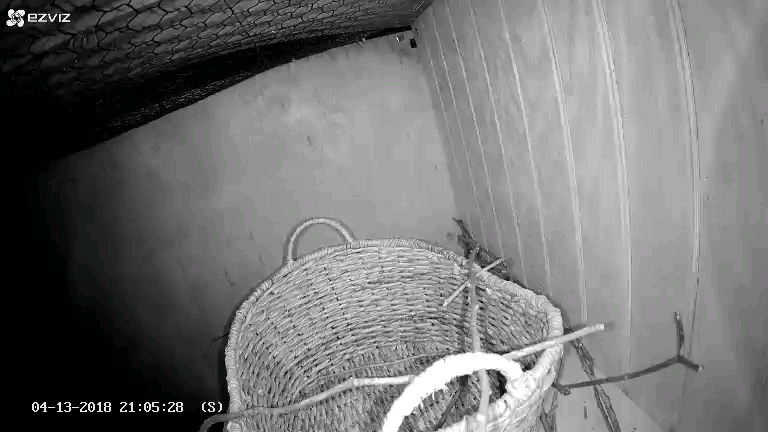 If things go as they have the last couple of years, nest construction, destruction, and rebuilding will continue for another three weeks or so. Unfortunately nest building also requires a lot of cawing, screeching, and yelling in an effort, I suppose, to scare off all interlopers. Hearing protection recommended. 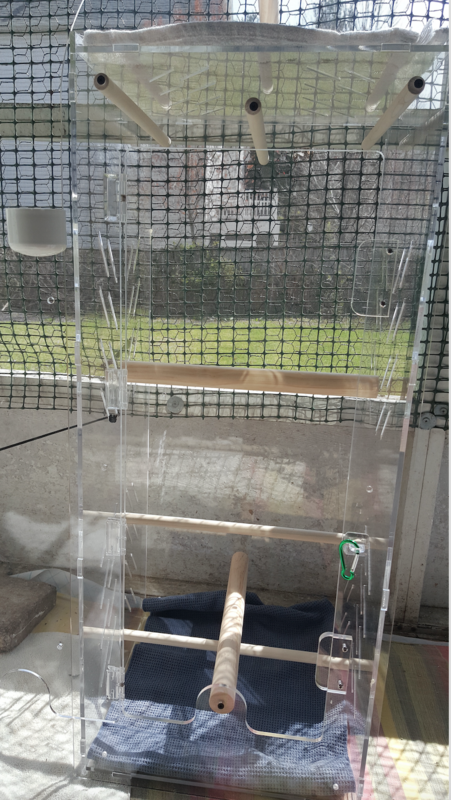 In Education Bird land, Super Friend Julie the Zen Whisperer arrived today with an amazing offering, namely a 3 foot tall acrylic traveling case so that Zen can begin his career as an education bird. He will travel in the Air Force One of bird cages. We started the process of getting him to fall in love with his luxury transport by putting treats on the top of the box. As of tomorrow, all meals will be served inside Zen Force One while he reclines with a cold drink in a cup holder, a small bag of peanuts, and watches videos with ear plugs.